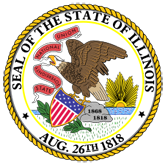 Illinois Attorney General Affirmative Action Plan for Fiscal Year 2009. This publication contains EEO information such as Workforce Analysis, EEO Certification, Classifications,Sexual Harrassment policy, Equal Opportunity and Discrimination Policy, Disabilities, Applicable EEO Laws, Exit Interviews, and Explaination of terms. 1. AFFIRMATIVE ACTION PLAN FY 2011_09-21-2010_09-20-15 (AFFIRMATIVEACTIONPLANFY2011_09-21-2010_09-20-15.pdf).